Looking at the present, between all the skyscrapers, houses, mansions and museums there are a lot of hidden gems that can surprise you, but future had lot more than what you expect. Architecture is one of the most creative profession in the world, it’s always evolving and changing. As new are more creative architects working in the field who knows what awesome piece of art we could see in next 100 years. 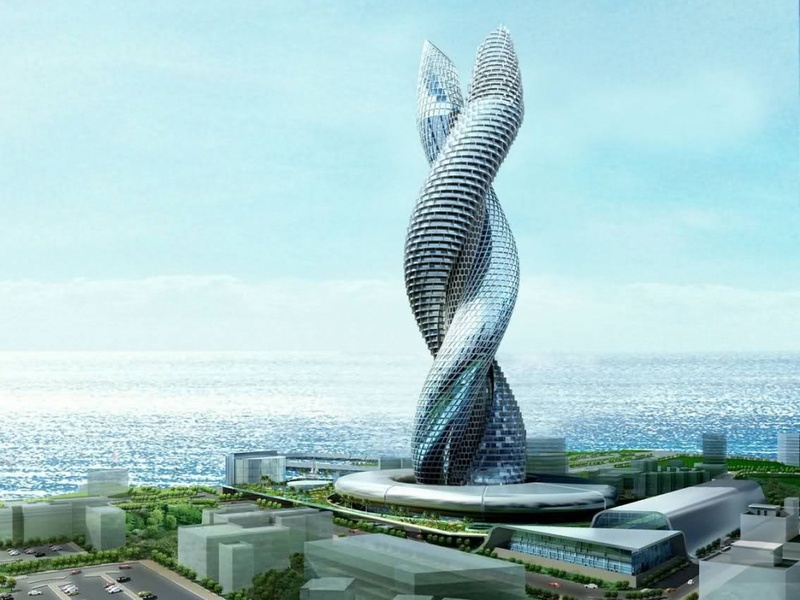 In this collection we are going to present you the most awesome futuristic architecture projects in the world. These are 10 of the unique and exceptionally amazing architecture projects from around the world that we never think can possible. Please enjoy and tell us which one do you like the most. A bold imagination of Belgian architect Vincent Callebaut. The project is called Aequorea, and its construction is planned in the coastal waters of Rio de Janeiro. 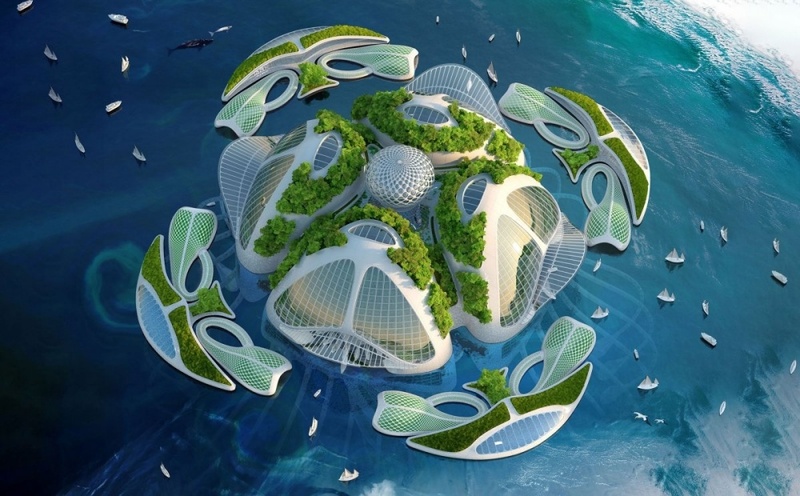 According to the author’s design, these towns-alike skyscrapers could be self-sustaining by recycling marine resources to provide people with electricity, food, and water. And of course, the inhabitants would be able to enjoy sea views and stunning sunsets. This is a recreational complex that is planned to be built between Cairo and the ancient pyramids. The building technologies are able to contain the desertification of the city. 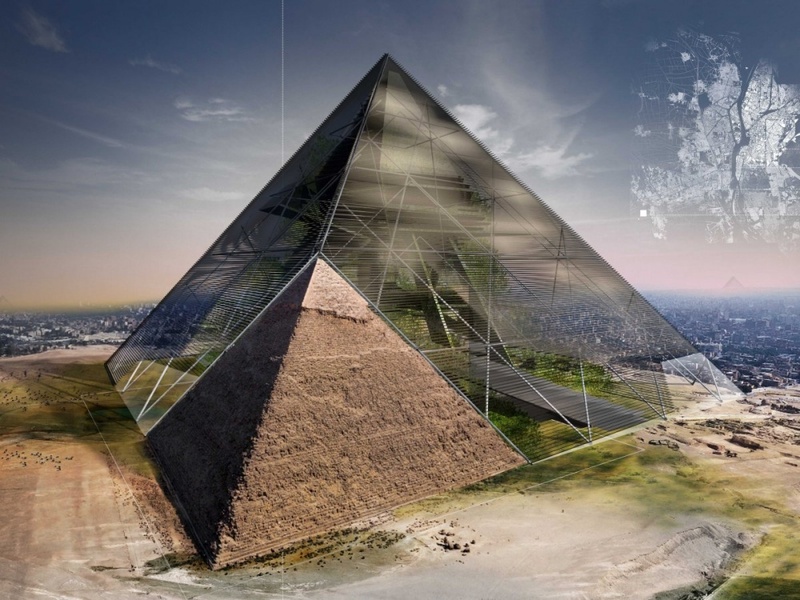 Who knows, maybe this pyramid, as well as its predecessors, will become one of the Wonders of the World for our descendants! 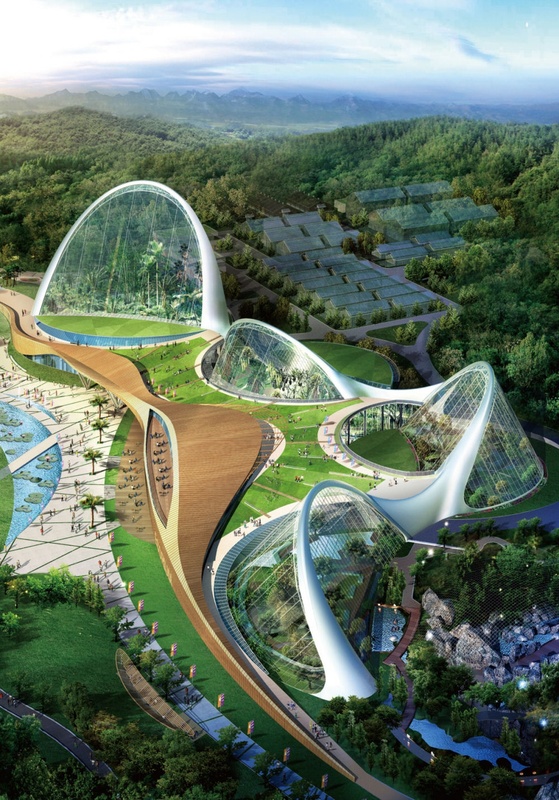 Created at the initiative of South Korea National Ecological Institute, the complex is spread over 33,000 hectares. This would be a unique place with wedge-shaped greenhouses, where ecological research would be conducted. The central buildings would be constructed in such a way that the internal conditions will be able to change under the influence of external environment, which can help save energy. This is a good characteristic for a modern building, considering how much heating and electricity costs nowadays. 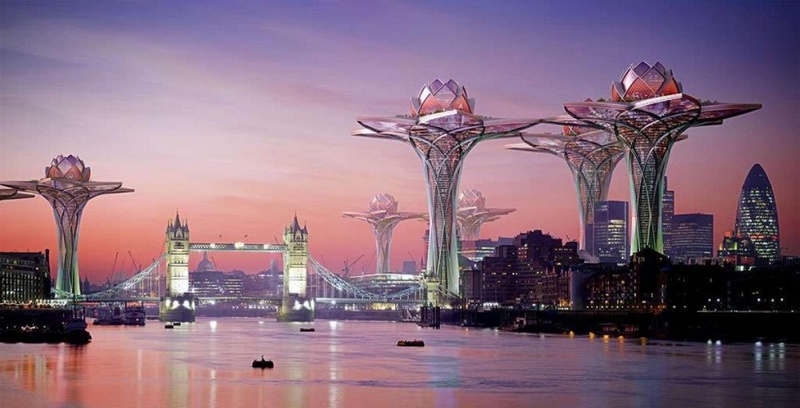 The Cobra Towers project is one of the most vividly discussed architectural projects on the web. There is a plan to build the skyscraper city in Kuwait in 2030. The tower would be 1 km (3280 Ft) tall. The stir is caused not only by the building’s size but also by the arguments about how the elevator would look like; the towers’ shape doesn’t allow the standard form of an elevator. Most likely, it will function by compressed air by the pneumatic tube principle. The towers are going to be not only the highest but also some of the most beautiful skyscrapers in the world. 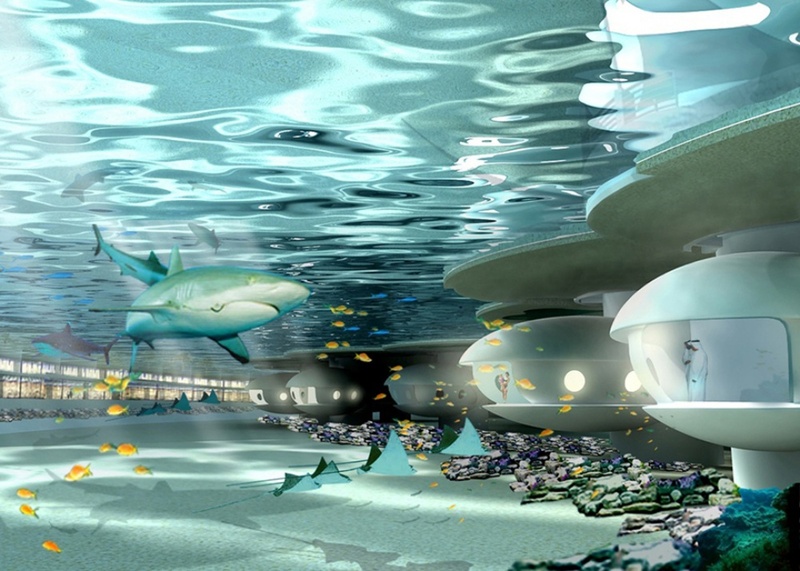 The field of entertainment knows no boundaries: a group of architects from ’103 International’ developed an underwater resort project. Its surface is impressive — 80 000 m2. The hotel is built so every window overlooks the depths of the sea (that’s a real ’Sea View’). The same goes for the restaurant and the entertainment complex. For those who like more traditional ways of relaxation, there’s a part of the hotel that’s situated over the water. Here is another fantasy of Vincent Callebaut. 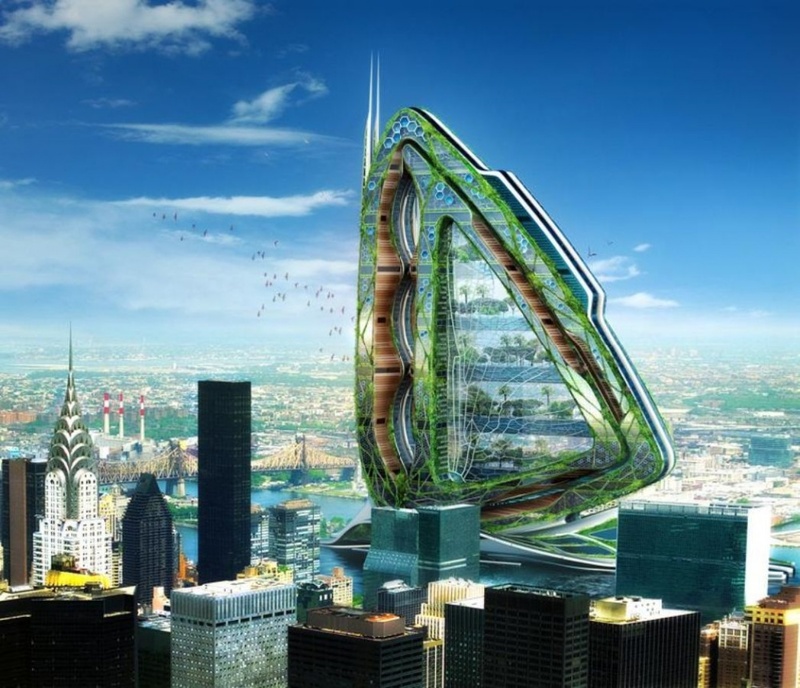 It’s speculated to be a 700 m (2296 Ft) tall vertical farm on Roosevelt Island. This complex, an ecological environment, an ultramodern village in the world’s largest megapolis, would be a unique one. According to the author’s design, there will be recreational areas, greenhouses, and dairy and meat farms inside the construction. However, despite its benefits and environmental friendliness, the project hasn’t received much support from the city residents, and its construction is at stake now. Yes, architects really create such crazy projects. These buildings can move independently throughout the red planet. 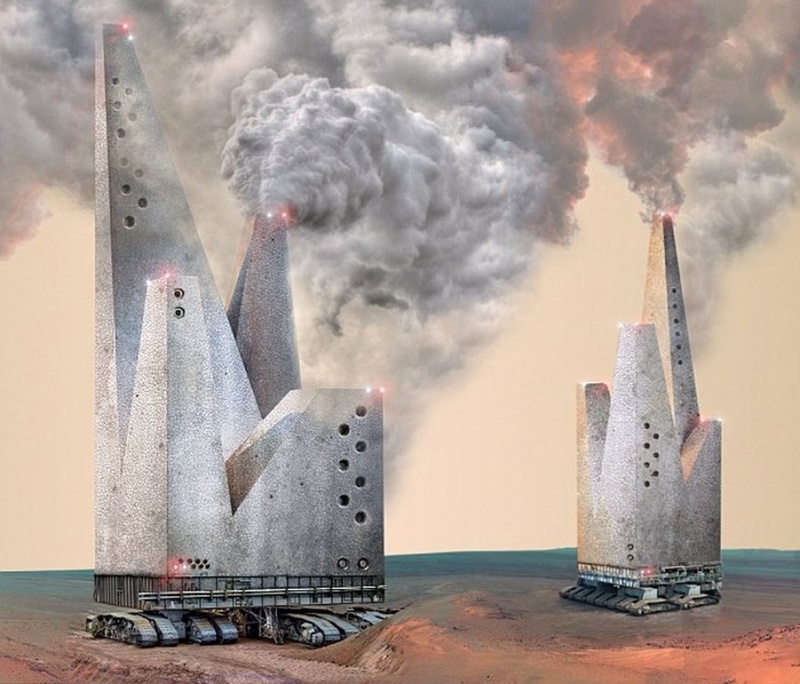 By collecting the necessary elements from the surface, they produce greenhouse gases, thus heating Mars and gradually making it suitable for life. This is a revolutionary project by Korean architects. The construction literally catches clouds and transports them to desert regions. The realization of this project will not only change the color of the Earth but also help to solve the problem of the bad harvest regions. 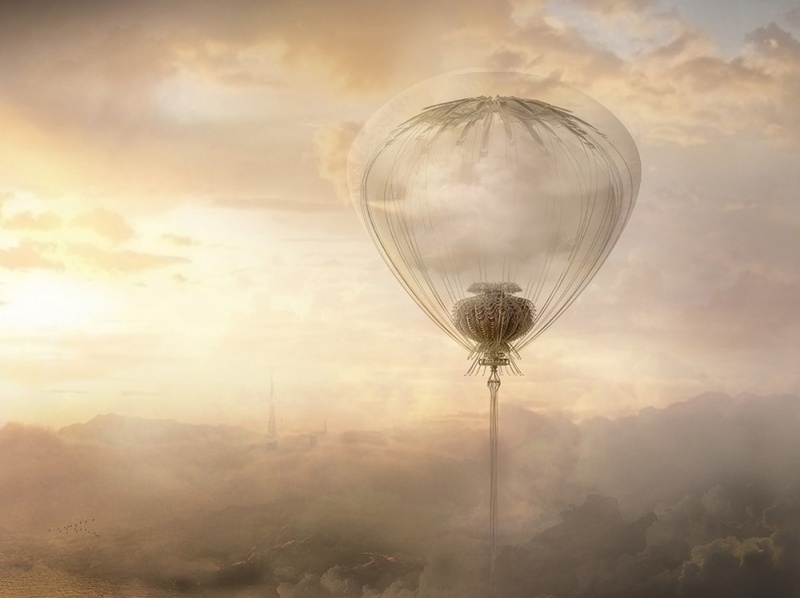 Cloud Catcher will bring more sunny days to London, and save Central Africa from hunger. That’s great! Dawang, resembling a space station from Sci-Fi movies, will be finished in the near future. 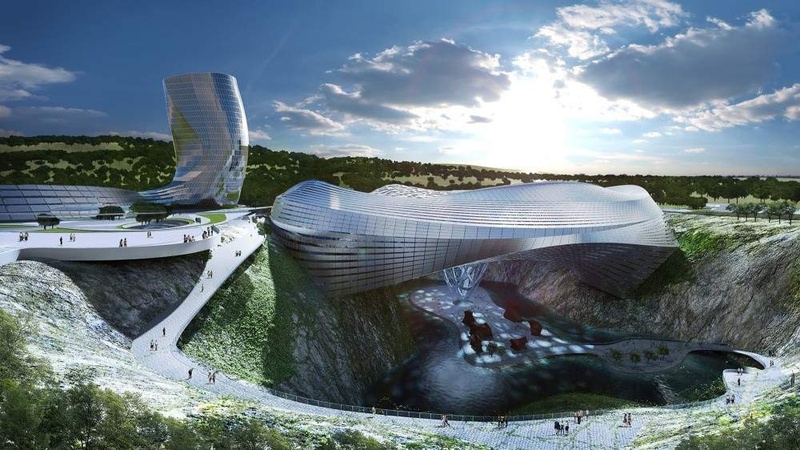 A 170 m (557 Ft) tall building, spread over a ledge, includes a ski resort, an ice rink, a water park, and hanging gardens. 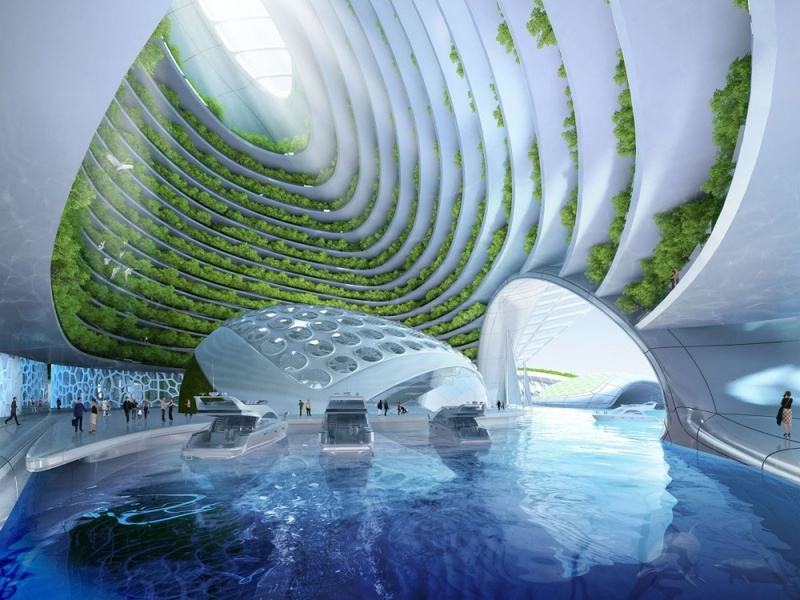 The futuristic resort starts operation this year — a factor indicating that the future has arrived. Tsvetan Toshkov, an architect from the UK, presented a project called ’City in the Sky.’ It’s a set of lotus-shaped complexes overlooking the city. 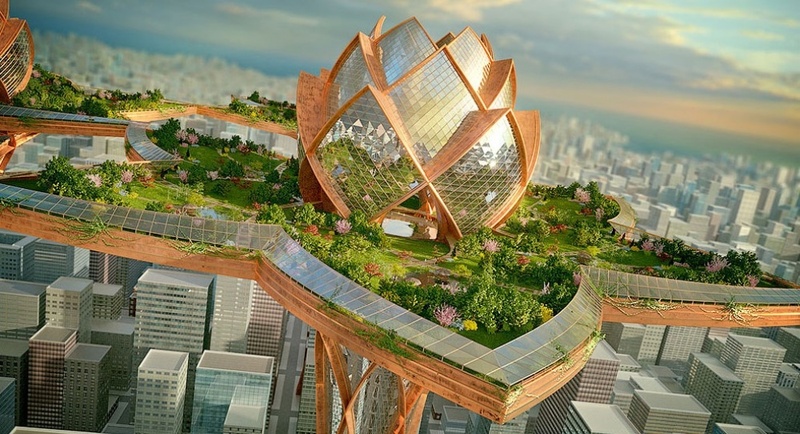 There will be parks and recreation areas on the top of these futuristic ’lotus flowers,’ where the inhabitants of megapolises would be able to get away from the fuss, noise, and dirt of the city. Quiet, calm clouds beneath your feet — isn’t this the best way to overcome stress? Next article What Makes Brooke Baldwin A Journalist Par Excellence Among All Others?